One of my favorite features of Google Drive would be the fact that I can create a view only Google Doc and have the students in my class click on File --> Make a Copy. Once a student copies my original document they have ownership and editing rights of that copied original. I also love finding teacher created material online that I can easily copy to my Google Drive and adapt that document to fit my needs. 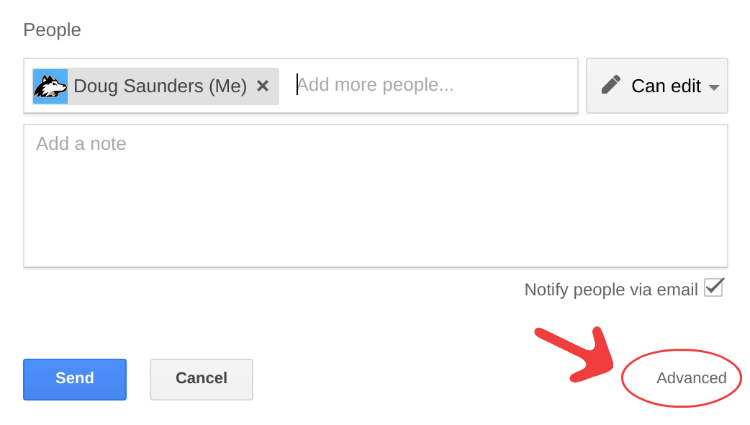 With that being said, Google recently updated the sharing permissions in Google Drive allowing the original owner of a Google Doc to prevent the downloading, printing, or copying of a Google Doc. This is a great feature if you are sharing sensitive information with editors and do not want to have a lot of copies of that particular document floating around on the interwebs. This new feature might prove especially handy for Special Education teachers who may be sharing various documents containing personal information about a particular student on their caseload. This will open the Owner settings allowing you to check a box that disables downloading, printing, or copying of any kind. This feature even prevents users from using keyboard shortcuts such as ctrl + C to copy and paste the information into a different document. Please keep in mind that anyone viewing this document can still take a screen shot or a snap a picture with their phone and upload it to the internet, but at least this makes it much more difficult for someone to easily make a copy of an entire document. Click on the link below to view a public Google Doc that is not able to be downloaded, printed, or copied. You will notice when you click on the File Menu those options are grayed out.